Skirt Retro - romantic black green coral flower ball made viscose chiffon. Ball light and shimmering volume skirt. One size fits from 36 to 40, we have more fabrics for other sizes in order. 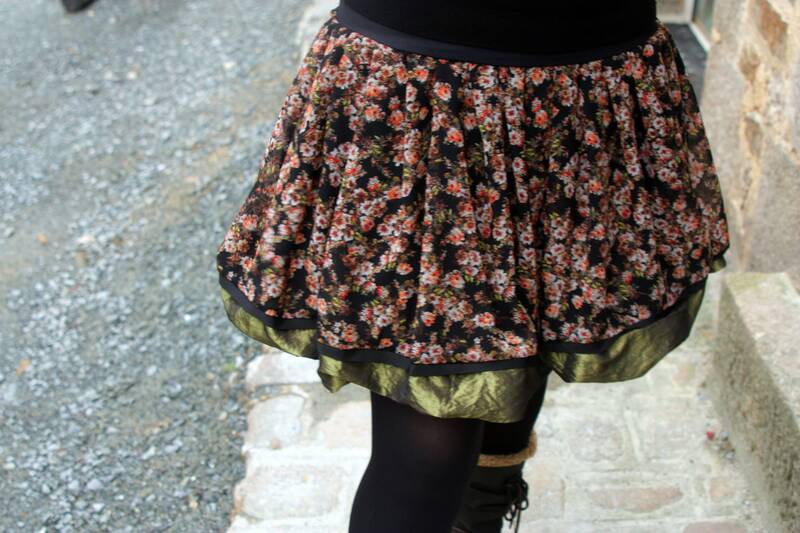 The skirt is worn with an Ascot attached to the skirt, available on request.